A Shadbush tree in my garden. By planting fruit and berry plants you can bring a wider variety of birds to your garden or backyard. There are many birds that are primarily fruit eaters and they may not visit your seed feeders. A way to draw them into your garden is by providing fruit. But supplying birds with dried fruit is expensive. The least expensive way to provide fruit for birds is to grow native plants which the birds have had thousands of years of experience eating. Most trees and shrubs in North America rely on birds to disperse their seeds. Bird swallow seeds whole. And seeds can’t be more than three-fifths of an inch in diameter , which is the largest size a sed-eating bird can swallow. I researched the relationship between birds and fruit and found out very fascinating facts like what color a berry or fruit needs to be to catch a birds attention. And when and why most fruit ripens when it does. I wrote a post about the relationship between birds and fruits and berries, which you can read here. Fruit makes up a large part of the diet of these birds. 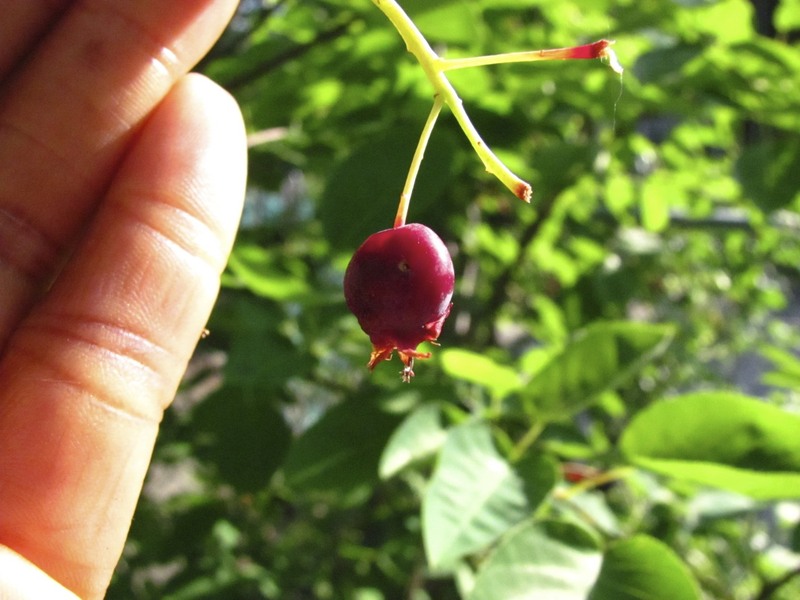 This list includes the top fruit trees and berry plants favored by birds. Many of the native trees and shrubs listed are small and can fit in small backyards or gardens. I have A Shadbush, grapes, blueberries and volunteer mulberries in my garden. 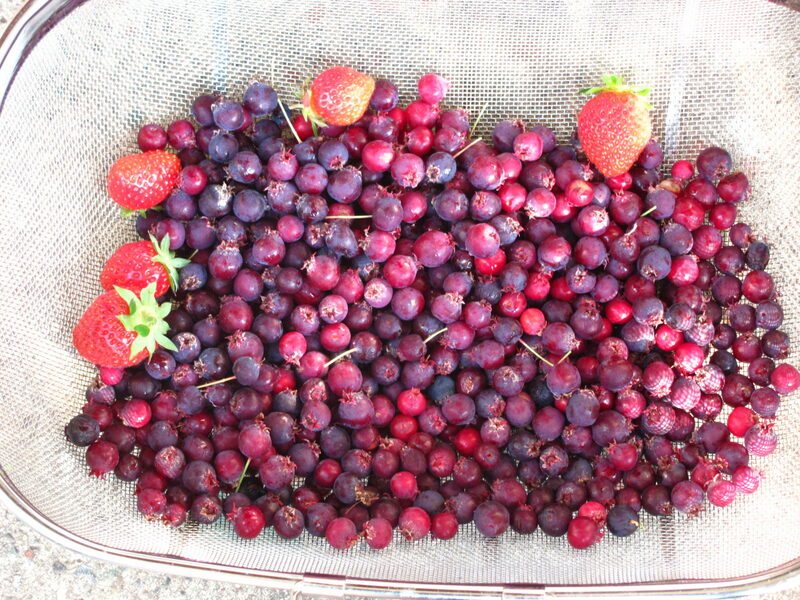 When I gather berries to eat, I take just what I need. I leave some for the birds. Shadbush berries from my Shadbush Tree. Birds are attracted to the sweet fruit.